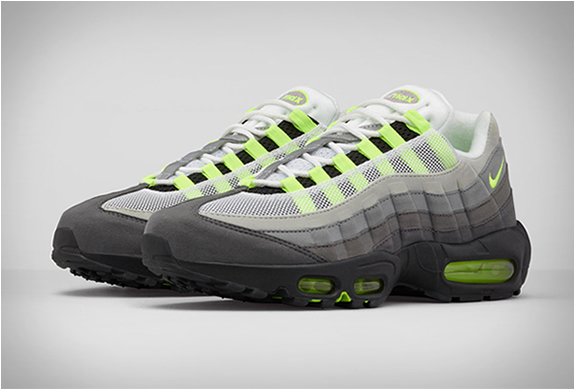 One of Nike´s most iconic sneakers is undoubtedly the Nike Air Max 95 OG, and to celebrate the 20th anniversary of the iconic shoe, the swoosh brand is reinterpreting the classic Neon colorway of the retro runner. 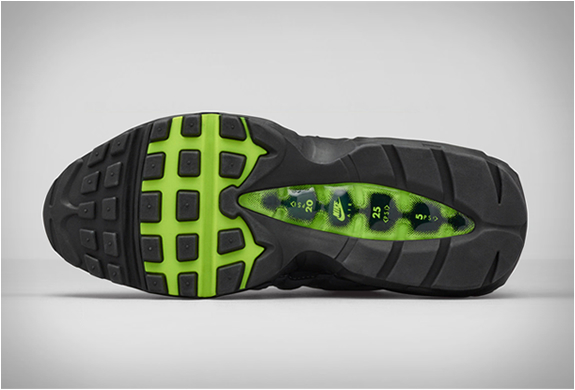 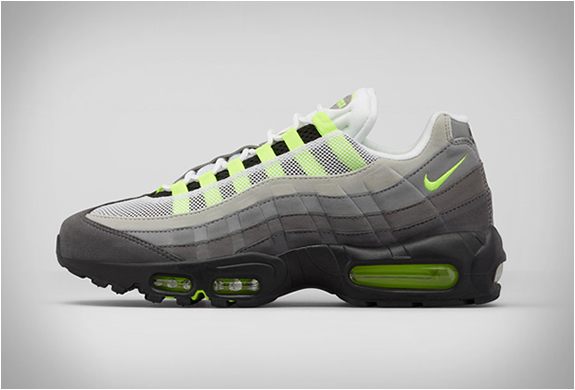 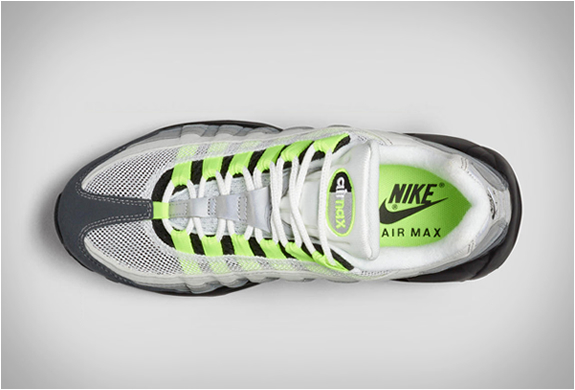 At the time of its debut, the Nike Air Max 95 introduced a futurist approach to running design, with its distinctive pop of neon yellow, molded upper, black outsole and visible forefoot air, it was bold, provocative, and unlike anything ever produced. 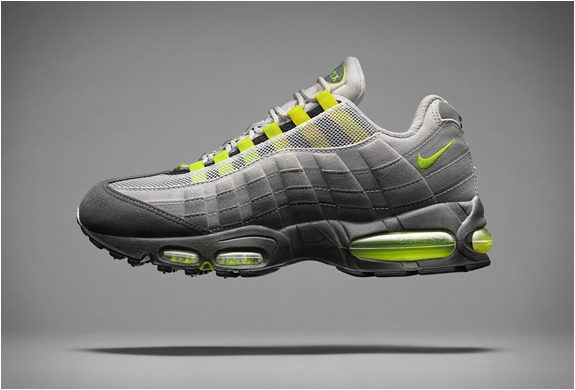 20 years and two revolutionary iterations later, the silhouette returns in its original form, and is available from today (Aug 6).